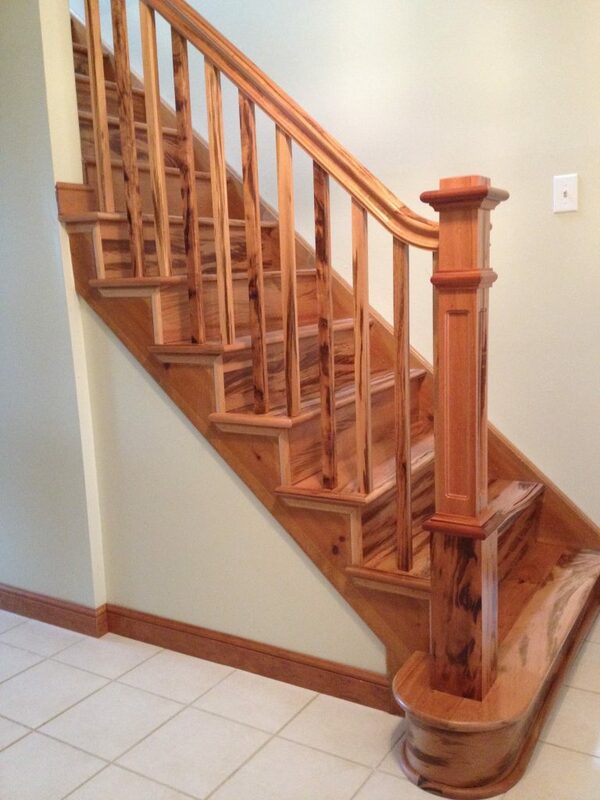 While some people prefer traditional staircases, others long for a creative edge. 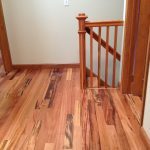 One way to achieve an original look is to choose a wood with lots of character. 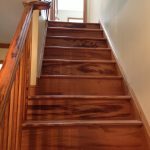 This project features exotic wood stairs made of Tigerwood. 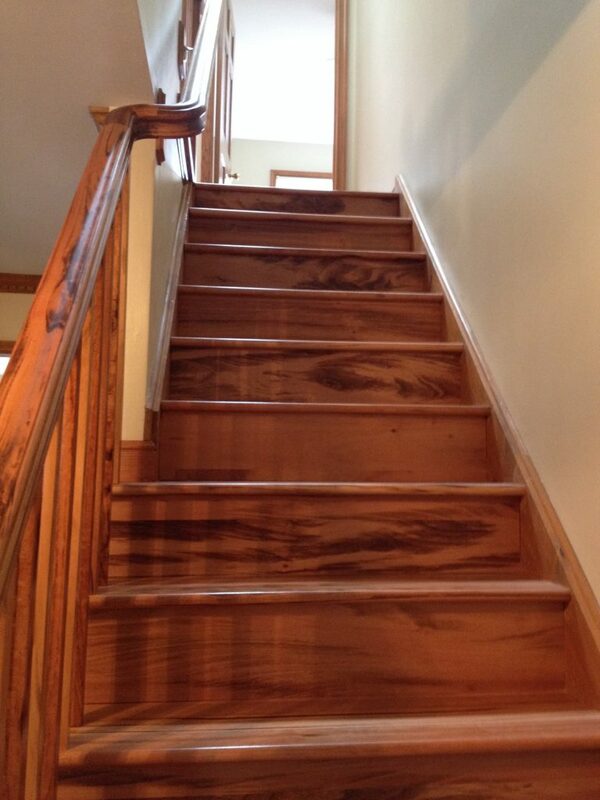 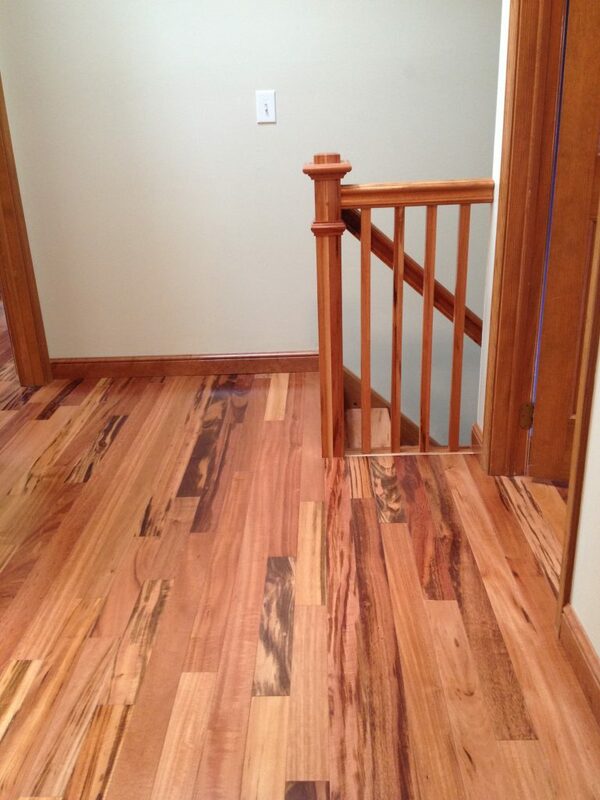 You can see that the natural color variation and striping of the wood help these stairs make a statement. 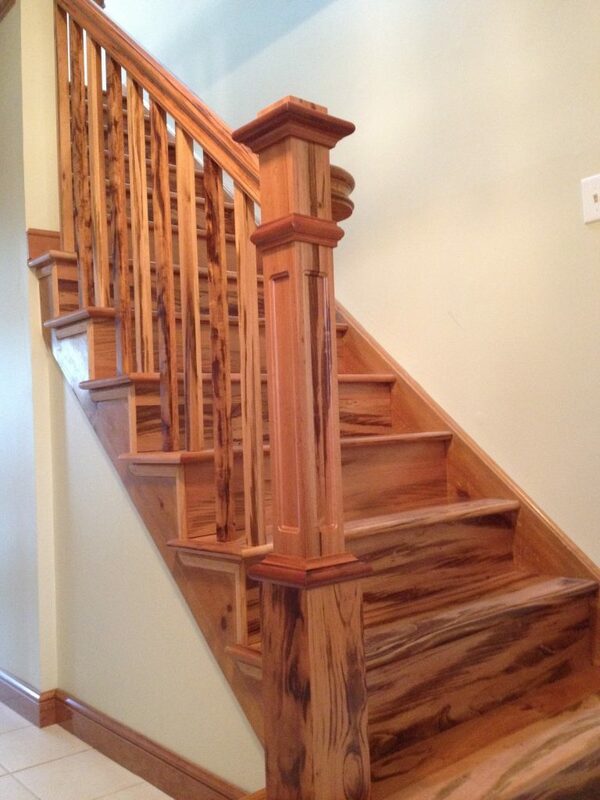 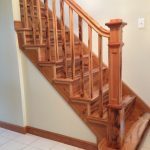 We specialize in creating beautiful wood stair parts from any of the more than twenty species that we carry.